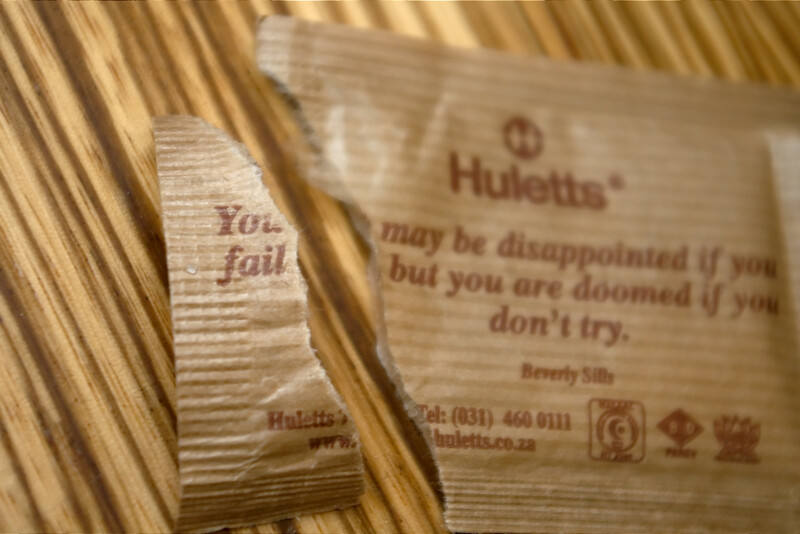 Hullets do this annoying thing with their little sugar sachets that one gets at restaurants and coffee shops. They stick sickly sweet quotations on them. I added sugar to my coffee, and then noticed that I’d inadvertantly improved something.